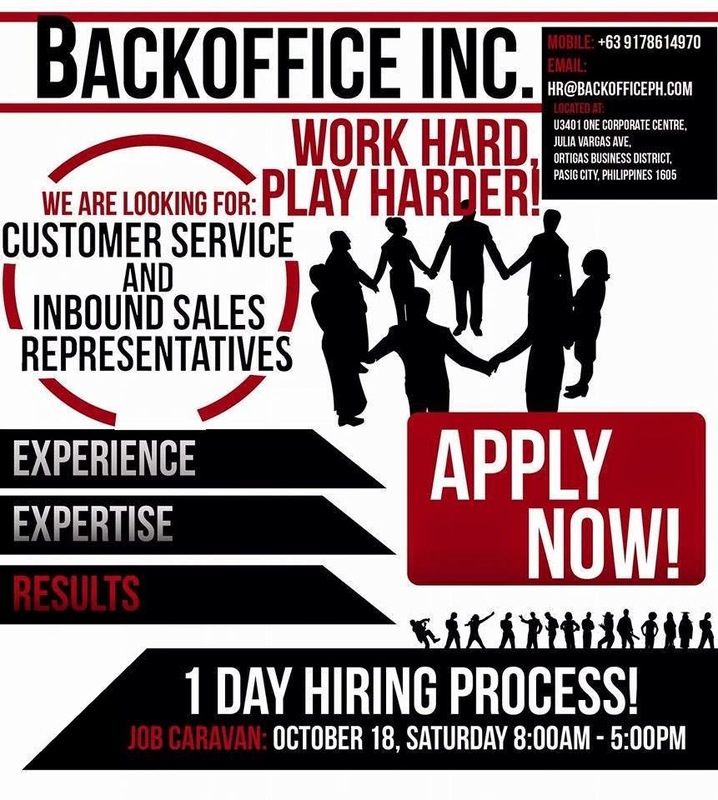 In case you will be missing this Job Caravan you can go to their office on Monday or you may contact +6 3 9 1 7 8 6 1 4 9 7 0 you can also send an email to HR@backoffice.com for your queries. We suggest attending today's event because it would have a free training. Back Office Inc*Free Food & Free Training "WE NEED 80 EMPLOYEES WHO ARE READY TO START"
You can also join Call Center Employees Association to see other job postings. A fundamental hotspot for the group of onlookers that makes the peruser stride by step. I am sure you have a zealous fan stalking out there.